Recently, a friend of mine introduced me to a unique way of doodling. 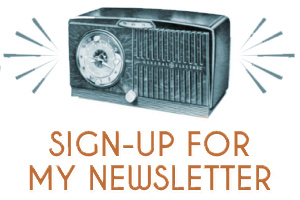 Have you heard of Zentangles®? It's a remarkably fun yet complex way of breaking up our paper into repetitive, unique patterns. Immediately, I thought of how can I make these drawings Harry Potter related. 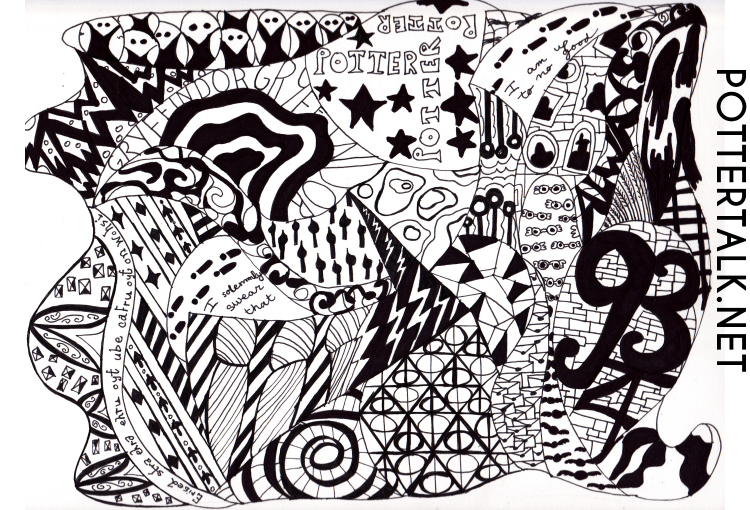 And, here is my own little experiment and tutorial for how to draw a Harry Potter Zentangle®. This is a great thing to do when you're bored. Enjoy! 1. The Zentangle process starts out pretty easy. About a half an inch away from the edge your paper, draw a rectangle. 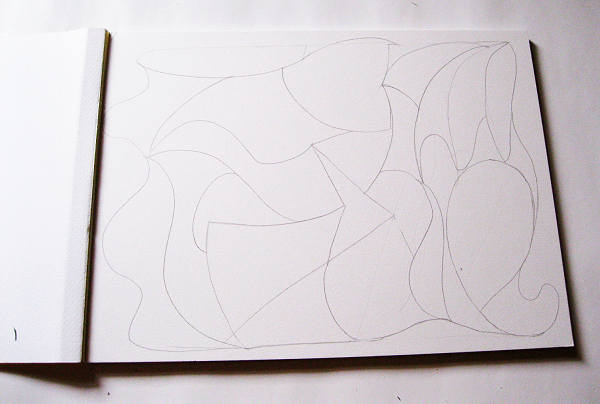 And, then break up your paper into sections with lines. Erase and re-do and until you're satisfied. You can really use any kind of paper - in your journal, notebook, blank sheets. 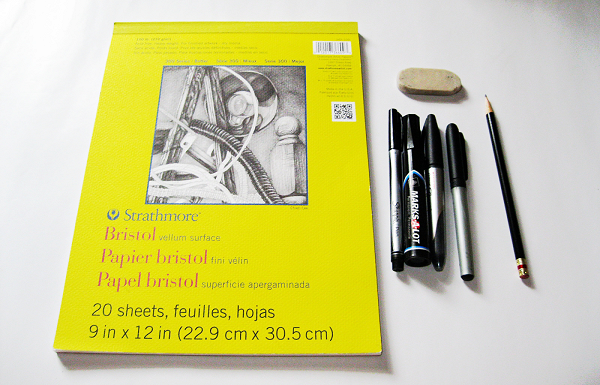 I had some left over paper from a design class, so I'm using Artagain bristol paper - a nice heavyweight paper. 2. Next, we pattern each space repetitively. Normally, this step is done simply in permanent marker - but since I'm prone to making horrible mistakes even with doodling, I started off in pencil and worked my way up to pen. 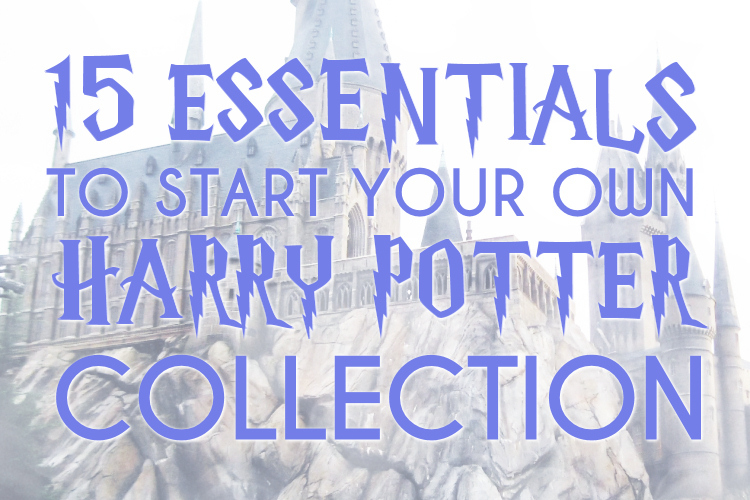 broomsticks, owls, cats, Basilisk fangs, Sorcerer's Stone, lightning bolts, socks, the Horcruxes, books, deers or your own patronus, Deathly Hallows symbol, Hogwarts Portraits, wand fights, the Tri-Wizard Tournaments, rubber ducks, Undesirable No. 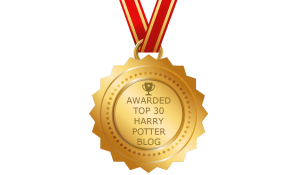 1, the Hogwarts flag patterns, Platform 9 3/4, 'Maurader's Map', the Golden Snitch, Luna Lovegood glasses, potions, spells, wands, 'Always', 'I Solemnly Swear', 'Until the End'. 3. If you did what I did - filled in the paper first with pencil - next we take permanent markers and filled in all the outlines. If not, skip this step and go to #4. 5. 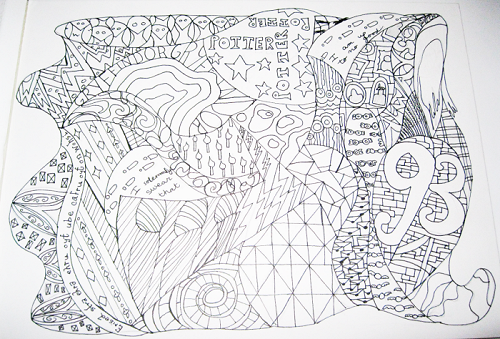 Our finished result: my Harry Potter Zentangle®. 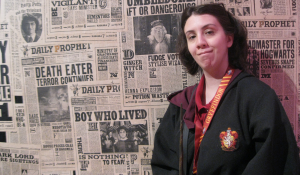 There is something to consider when making Harry Potter Zentangles. You can go all over the map like we did above, or maybe try a challenge to see if you can fill a page of only one theme - like things that represent your favorite character, book, or movie. 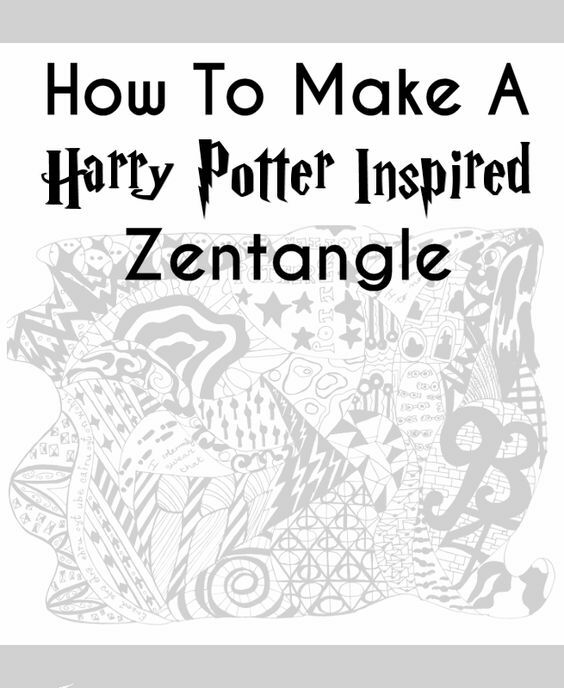 If you made a Harry Potter Zentangle inspired from this tutorial, email me. I'm more than happy to feature it on the blog! I did some doodle similar to this in my home at Balmoral Village. I realized it makes a good wall paper and had it printed.